A further taxon of Paleogene stem group Galliformes are the Paraortygidae. 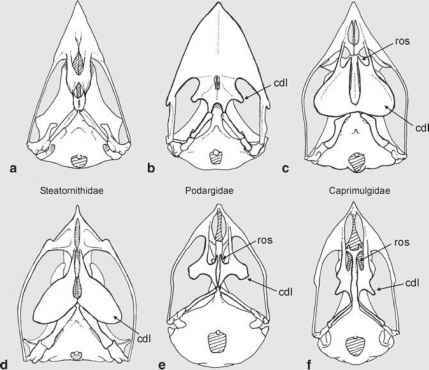 These birds are known from well-preserved postcranial bones from middle Eocene to late Oligocene deposits of the Quercy fissure fillings and from the early Oligocene of Germany (Mourer-Chauvire 1992a; Fischer 1990, 2003). Three species are currently recognized (Mourer-Chauvire 1992a), the late Eocene and early Oligocene Paraortyx brancoi Gaillard, 1908 and P. lorteti Gaillard, 1908, as well as Pirortyx major (Gaillard, 1939), which was reported from early and late Oligocene fossil sites. As already noted in the preceding section, Taoperdix pessieti from the late Oligocene of France may be a further representative of this group. Like that of gallinuloidids but in contrast to that of the Quercymegapodiidae (Sect. 6.1.4), the humerus of Paraortyx exhibits a marked second pneumotricipital fossa. In the larger taxon Pirortyx this fossa is less developed. Paraortygids differ from gallinuloidids and quercymegapodiids in the less elongated and less slender carpometacarpus, which more closely resembles the corresponding bone of extant Galliformes in its proportions. In contrast to that of the Quercymegapodiidae and extant Galliformes, the capital incision (incisura capitis) of the humerus lacks a transverse ridge.